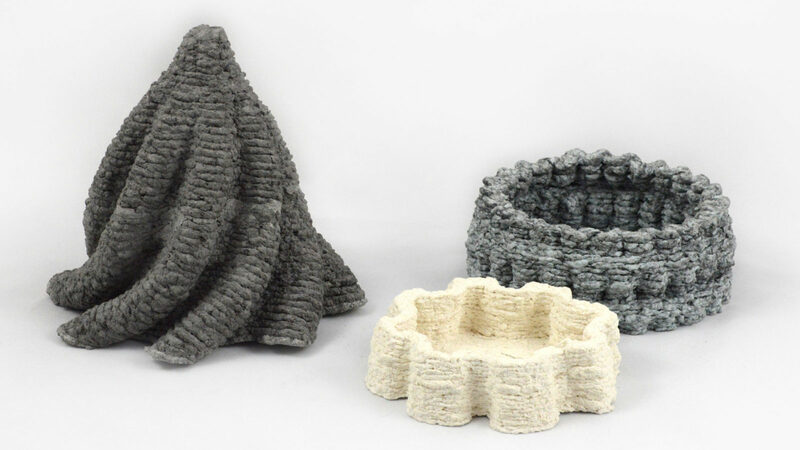 Design Academy Eindhoven graduate Beer Holthuis created the Paper Pulp Printer in an effort to combat the amount of waste plastic being created through 3D-printing. 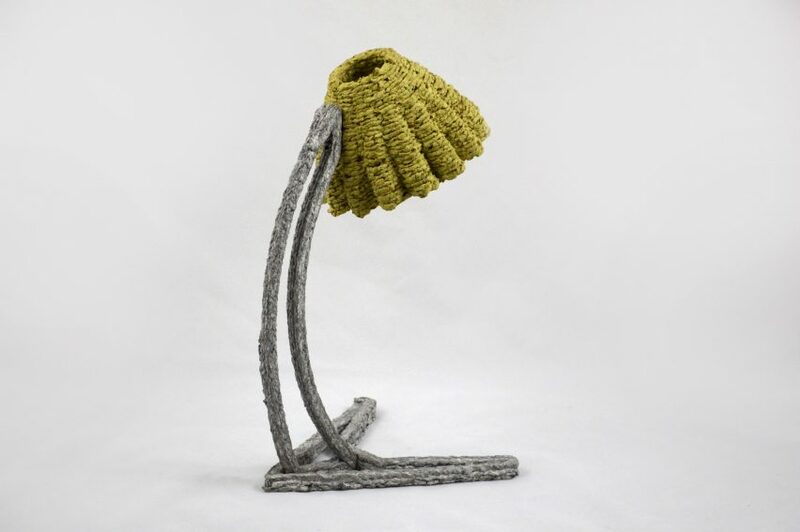 Holthuis set himself the challenge of making a 3D printer that could use recycled paper pulp after discovering that paper was one of the world’s most wasted materials. Printing with paper instead of plastic filament would mean that the models could be broken down with water and the pulp potentially recycled again for another project, said the designer. The fibrous make-up of paper results in surprisingly strong structures, but applying a finish such as a varnish would make the 3D objects longer lasting. Holthuis has already used the machine to make lamps, as well as various shapes and sizes of container. “Because the print speed is relatively fast and the material very cheap, it makes this technique very suitable for large prints – think of custom furniture or luxury packaging,” said Holthuis. To create a pulp that could be extruded consistently, Holthuis experimented with various natural bindings and consistencies of the material and created a custom extruding-machine to print the mixture. The final result is fully compostable. Holthuis developed the printer as his graduation project from Design Academy Eindhoven. It was exhibited during the school’s graduation exhibition in Eindhoven in October. He now plans to develop the designs further to create a consumer version of the printer. Although plastic filament remains the predominant material for 3D-printing, recent experiments have trialed the use of a wide range of alternatives, particularly in the medical and food manufacturing fields.